Is There Any Connection Between Spiritual Enlightenment and Lucid Dreaming? Lucid dreaming and spiritual enlightenment are easily relatable topics. Both are purely subjective concepts, being directly observable only for those having the experience. They’re also often treated as though they’re too esoteric, or “out-there”, for mainstream discussion (religious groups not withstanding). It’s a shame because both topics have been heavily studied (Saunders et al., 2015; Tart, 2017), and have a lot to offer us in terms of personal growth and the pursuit of happiness. Spiritual enlightenment is about as a broad a concept as you might imagine. For our purposes, it’s probably best understood as a deep connection to one’s personal belief system; to the point that the entirety of reality feels like it “makes sense” within its context. Spiritual enlightenment goes far beyond faithfully adhering to a set of rules. It’s something you experience rather than something you remember. The specific belief system a person adheres to is somewhat irrelevant in regards to gaining spiritual enlightenment. This widespread applicability is due to the need to focus on personal experience rather than objective information. Prayer, meditation, chanting, rituals, and similar practices can be useful methods for reaching an enlightened spiritual state. This might be a good time to point out that some groups include the concept of enlightenment in their beliefs, but it’s usually defined much more specifically than the general idea of spiritual enlightenment that we’re discussing. Gaining awareness while dreaming is a thrilling, almost spiritual experience in itself. It’s virtual reality (VR) taken to the absolute extreme. Much like current VR, lucid dreaming isn’t entirely reliable. It may only last a few moments before the entire system crashes. The characteristics of the experience can be highly variable as well. Sometimes we have seamless interactive control, other times we’re stuck watching another world as it unfolds just outside of our grasp. Keeping with the VR metaphor, if we want to get the most out of VR content then we’re going to need a beefy system. 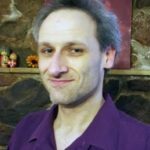 For lucid dreaming, instead of investing money into expensive hardware, we can learn lucid dream induction techniques. These scientifically supported mental practices help fine tune our brains to increase the likelihood of experiencing and retaining lucidity within dreams. Once we’re in there, we’re free to explore any of the myriad observations and opportunities that could become available. Spirituality and dreams in general have a long historical relationship. Some cultures regard dreams as being a state between life and death. Dreams have provided divine inspiration for major advancements in both the arts and sciences. Within them, we may interact with dead relatives, deities, or even ourselves. There are no impossibilities within dreams; literally anything could happen. People are regularly amazed by their dreams, and yet they’re usually restricted to a faded memory. Lucid dreams are vivid by default. Even if we don’t have control, it’s still like waking up in a different reality. That sticks with you. 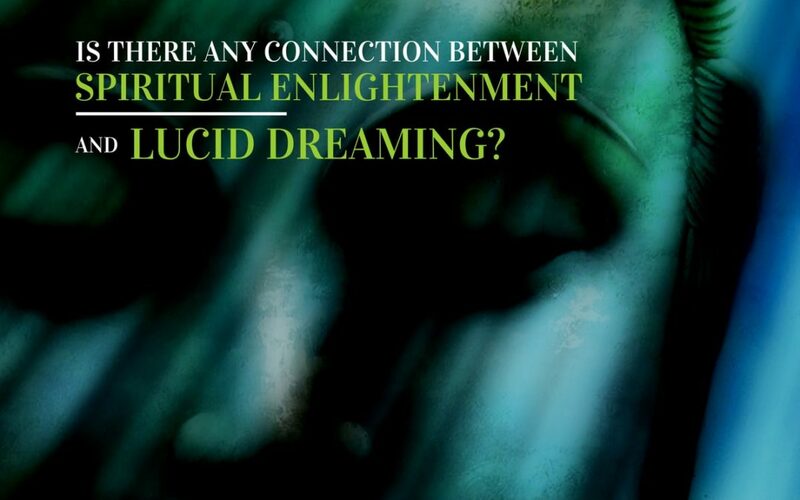 Now imagine having a spiritual experience while lucid dreaming. The unique nature of dream environments practically guarantees that we can gain insights that are not possible in waking life. Lucid dreams give us to the opportunity to do so with intention. We can literally test the boundaries of a reality beyond our waking consciousness. There are many ways to utilize lucid dreaming in the journey toward spiritual enlightenment. It’s a great place to test out any preconceptions that one may have about the nature of the universe in general. Our adopted beliefs can impede the path to spiritual enlightenment if they’re not in tune with how we actually perceive the world. We have the opportunity to apply and evaluate these beliefs in dreams, just as we do in waking life. A potentially more potent approach to using lucid dreams for spiritual gains is to practice enlightenment-focused techniques (prayer, meditation, rituals, etc.) within the dreamscape. We know that the nature of dreams are unpredictable, so there is ample opportunity to gain unexpected and enlightening insights. Spiritual practice within lucid dreams is also a great way to strengthen both skills due to the high degree of concentration required by each. Spiritual enlightenment and lucid dreaming are connected on many levels. Dreams alone can be highly spiritual, and states of enlightenment can be described as dream-like. Each state is hallmarked by a sense of being outside of our typical waking reality. They can both be sources of inspiration, or perhaps confusion, as we attempt to comprehend the experience. Lucid dreaming allows us to thoroughly investigate these concepts from a powerfully unique perspective. We can learn a lot from lucid dreams and spirituality as individual topics, but combining them may allow us to streamline the enlightenment process significantly. Saunders, D. T., Roe, C. A., Smith, G., & Clegg, H. (2016). Lucid dreaming incidence: A quality effects meta-analysis of 50 years of research. Consciousness and cognition, 43, 197-215. Tart, C. T. (2017). Enlightenment and spiritual growth: Reflections from the bottom up. Subtle Energies & Energy Medicine Journal Archives, 14(1).